The NordicTrack U60 exercise bike takes outdoor riding indoors, giving you an excellent and realistic cycling experience from the comfort of your own home. 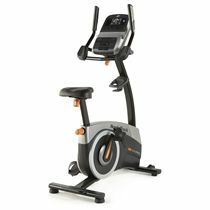 The bike is designed to let you ride both sitting down and standing up in comfortable and natural positions and motion is smooth thanks to the 9kg (19.8lbs) flywheel. Alter the intensity via the 25 levels of digital Silent Magnetic Resistance and try out the 30 workout apps to test you and improve your fitness. 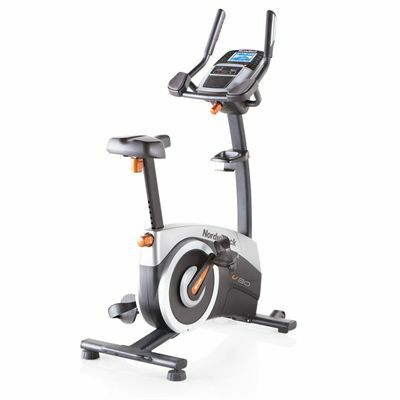 The indoor cycle comes with a 5" backlit display and will show your live feedback which includes calories, distance, pulse, resistance, speed and time. The saddle is large, cushioned and adjustable and the pedals are wider and ergonomic, all designed for your comfort. This is a much more substantial bike than I have had before, and is as close to a gym bike as I have seen with regards to functions and solidity. I found the seat a little uncomfortable after about ten minutes, so I bought some gel padded cycling shorts. It is a small price to pay for a robust and easy to use bike. Smooth, quiet and does what it should do. Took a bit of adjusting for my small frame of 5 feet, but think I've sorted it now. Pity it doesn't have pedals for cleated shoes but once feet are strapped in, it's fine. Console excellent for constant monitoring of ride but also has a perfect place for putting iPad if you want to read, watch something or use iFit module. One word of advice, if you are small, female and oldish, you will need someone to fit it together. Fairly easy to put together, possible with one person but easier with two. Very sturdy (heavy) once built but can be easily moved on its casters. 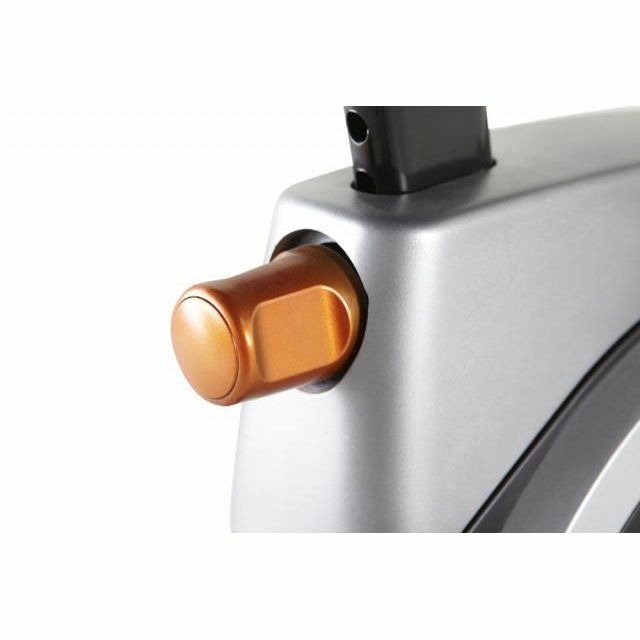 Cycling action is smooth and very quite with a good range of resistances to choose from. Inbuilt programmes are great for a quick blast and linking to the iFit module is fit (once iFit module is set up). Linking to iFit allows you to create your own rides or download from all around the world, with Google Street View pictures to keep you interested, this mostly works well. 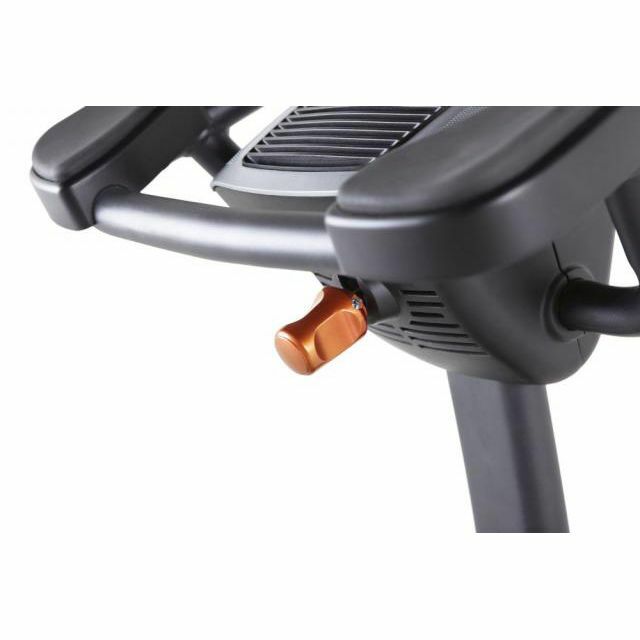 Bike has good range of adjustments to make it fit all the family. The saddle is massive and looks very comfy, but is not ideal for longer sessions. Overall, very pleased and would recommend to anyone wanting a good sturdy exercise bike without spending too much. A good heavyweight Exercise Bike. There is no chance that this Bike will tip over sideways, even when standing on the pedals. I did not buy the iFit software, which is compatible with the Bike and extends the range of fitness programs and performance feedback. I may regret this in the future. However, for now, the basic inbuilt program and feedback are sufficient to get me exercised and get the heart/lung combo working after several years fallow. Love this product as I am just starting to work out for a very long time. Has a lot of versatility and levels. Owned this bike for nearly 2 months now and it's really helping me to achieve my fitness goal of loosing weight. Installation was relatively straight forward and the iFit function is a great way to monitor progress. Good bike for someone looking to boost fitness levels. Personally I think I would have been better off with a recumbent as it's easier on the joints. In terms of functionality this is great though. Lots of different workout modes to use which gives your workouts some variety. Delivery was really quick and I found it easy to put together. 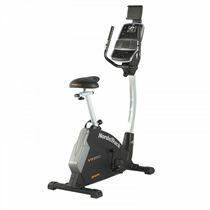 My first exercise bike and it's helping me to get fit. The iFit function is a good way to track my progress and see if I'm improving on my lap times. 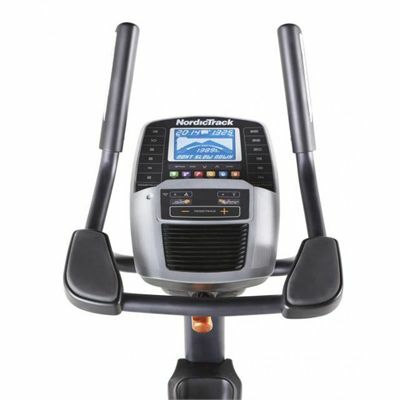 for submitting product review about NordicTrack U60 Exercise Bike.